1. Citrus Zester. Yes, I could easily use a regular grater for citrus zest and it would work just fine. But this baby makes awesome zest in about half the time (I think it’s the way the blades are cut). Plus, it comes with two side blades for making long swirls of citrus peel. 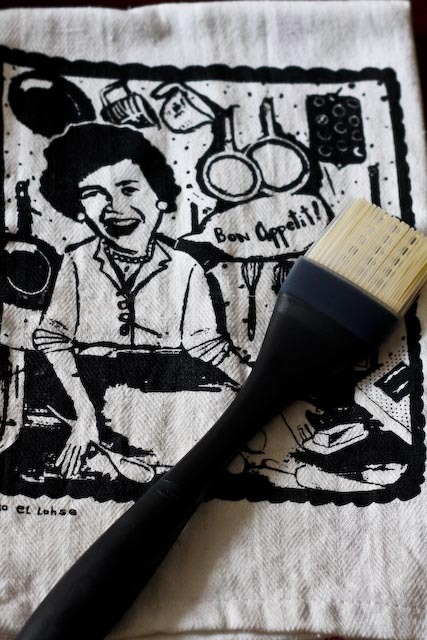 My brother gave me this for Christmas – from Sur la Table – and I’ve used it tons of times since. A great tool to have in your gadget drawer! 3. Silicone Basting Brush. I’ve used regular wooden and fiber basting brushes before, which work just fine, but I like the silicone variety better. The silicone bristles, if you will, don’t cling to whatever you’re basting with (i.e. oil or lemon juice) as much as the fiber ones do, so you get maximum flavor on your dish rather than stuck in the brush itself. Plus, the silicone cleans really easily so your brush isn’t left with garlic and olive oil flavoring when you’re trying to egg wash pastries the next time you use it. This one is by OXO but there are dozens of brands out there to choose from. Also, how adorable is this kitchen towel!? I bought it at last year’s Crafty Bastards art fair in Adams Morgan in DC. 5. Silicone Spatulas. I’ve never really noticed before, but the word spatula is a very strange word. Some people call the one on the right a “flipper” instead of a spatula, but I call both of these things spatulas, and I think they are both fantastically useful when made of silicone. 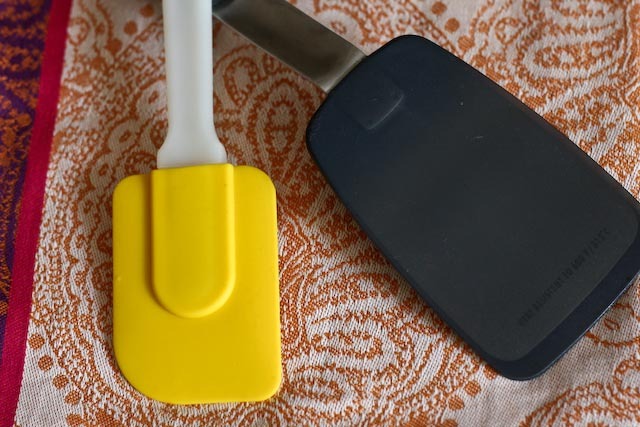 The flexible spatula (the yellow one) is terrific for making egg scrambles, scraping the cake batter bowl, and more. The other spatula is actually a metal spatula covered in silicone, which is awesome for flipping pancakes, grilled cheese sandwiches, fish fillets, etc. 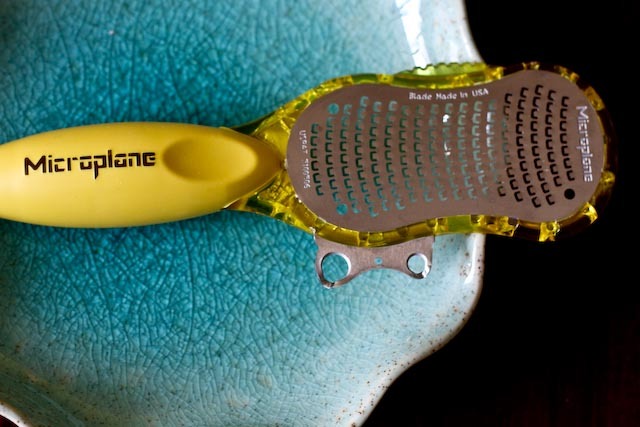 Plus, unlike plastic spatulas, the silicone ones won’t melt upon contact with a hot pan. 6. Garlic Press. I think if I had to rank order my kitchen tools, this one might be number one. I use it just about everyday (because I cook with garlic all the time!! ), and it saves me tons of time. There are many a chef out there who would poo poo the garlic press and instead suggest that I spend an extra few minutes mincing my garlic by hand with my chef’s knife. Well, I’m not a professional chef (and do in fact have another day job), so I’ll stick with my time-saving super tool for easily mincing – and slicing! – my garlic. My wonderful boyfriend just got me this one for my birthday from Williams Sonoma (my other one was starting to rust), and this one is practically indestructible and is dishwasher safe. It also comes with a handy tool for easy hand-cleaning (for those of us without a dishwasher). 7. 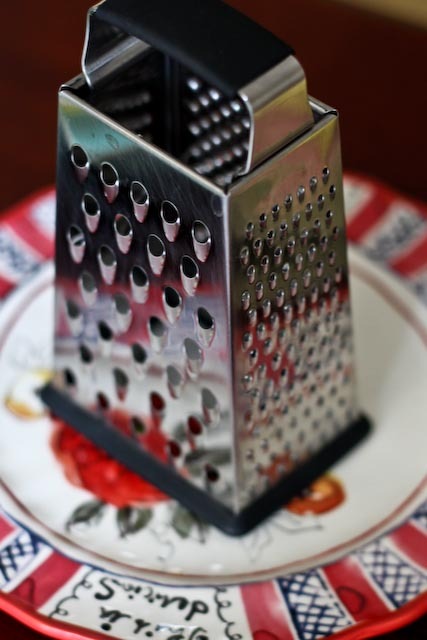 Multi-Sided Grater. 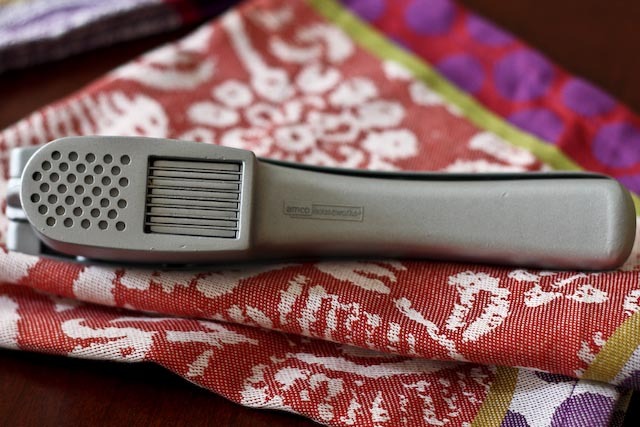 This puppy is stainless steel and has four different size blades for grating everything from cheddar and Parmesan cheeses to ginger, vegetables, or citrus zest (although you already know I prefer the Microplane zester). 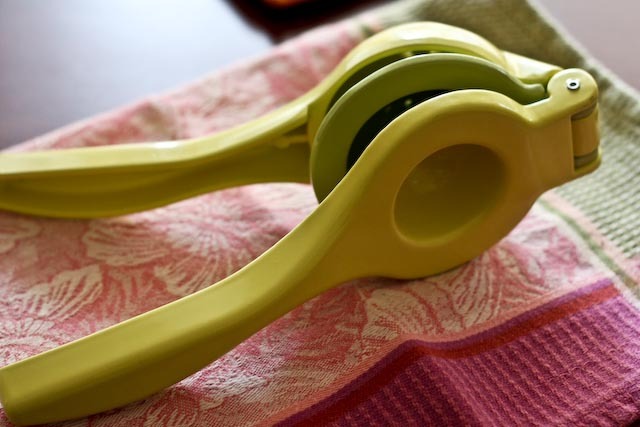 It has a silicone rim around the bottom to help keep it steady and it’s very easy to keep clean. This one was just $6 from Bed Bath and Beyond. 8. Citrus Juicer. My mom got me this for my birthday last year (can you tell I often ask for kitchen tools as presents??) and I love it. You can adjust the size of the juicer to fit lemon or lime halves. Plus, the way that it juices the citrus helps keep the seeds out of your dish. Brilliant! I’m not actually sure where this came from, but you can probably find something similar at stores like Sur la Table, Williams Sonoma, or Bed Bath and Beyond. 9. 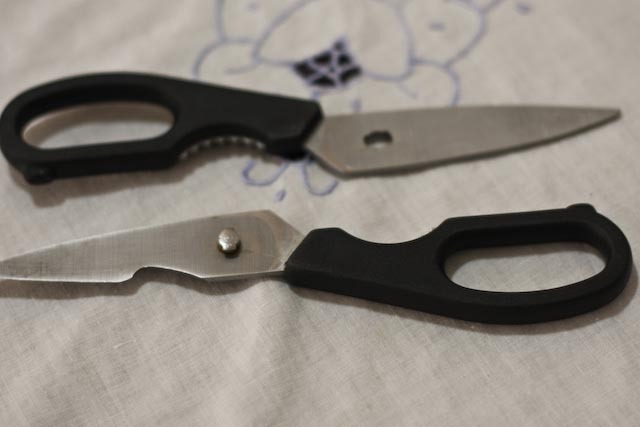 Kitchen Shears. These might actually be tied for number one with the garlic press. 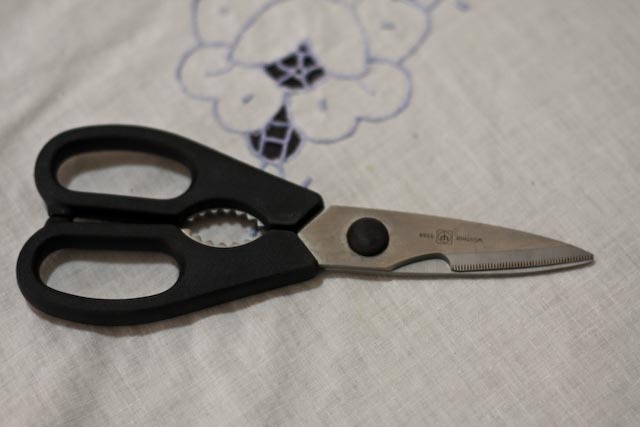 These scissors are extremely sharp and extremely useful. They are great for cutting up bacon, herbs, sun-dried tomatoes, dried fruits, you name it. Plus, they come apart for easy cleaning! I actually have two pairs; one I got separately (as a Christmas gift, of course!) and the other came with my knife set. I highly recommend getting a pair if you don’t have one already. You can find them for $20 from Sur la Table. Somehow these didn’t make it into my collective photo, but they’re definitely in my top ten! 10. Silicone Whisks. Last, but certainly not least, are silicone whisks. 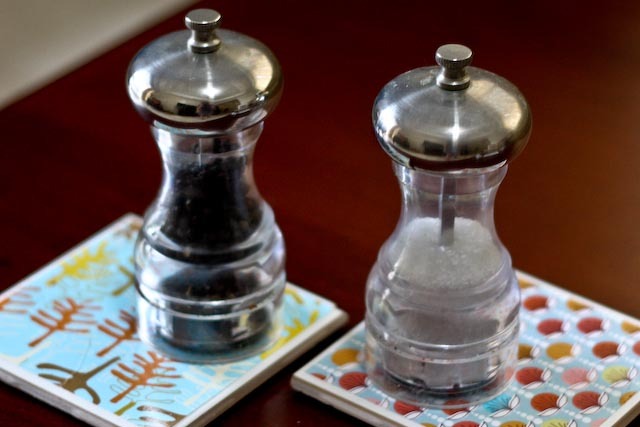 I actually have two – one large and one small – and I use them all the time. They’re great for mixing pancake and cake batter, scrambling eggs, blending salad dressing, and whisking up bechamel sauce on the stove top. 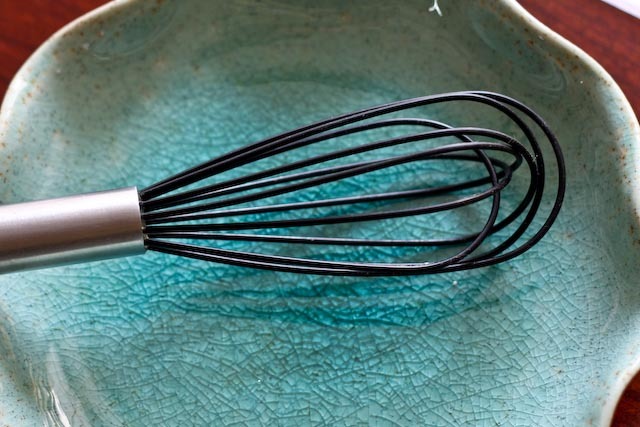 As with the silicone spatulas, the silicone whisks help avoid sticking, but they are also great for whisking over the stove, as metal whisks tend to get very hot. I got both of mine at Bed Bath and Beyond for $8 for the set. They also come in really fun colors! Well, there you have it. 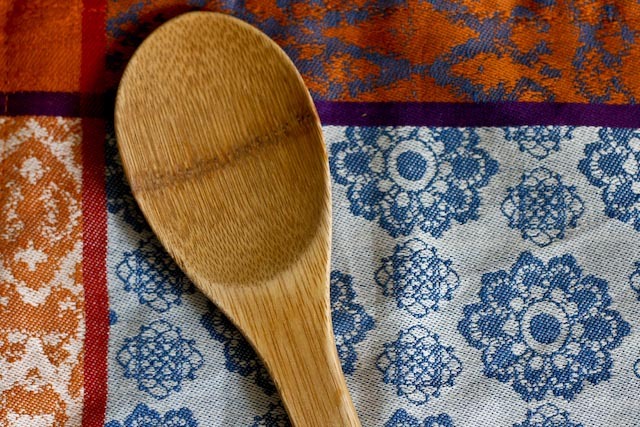 My top ten favorite kitchen tools. 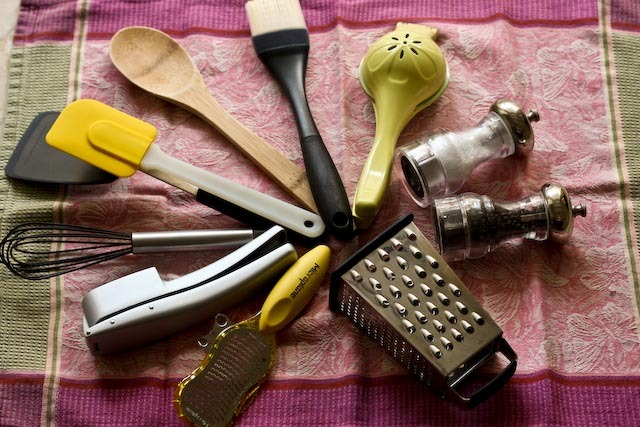 I’d love to hear about your favorite kitchen gadgets as well, so please share your thoughts! Also, in case you’re wondering where I got the towels and cloth napkins that I used as a backdrop – which I thought would look nicer than just my kitchen counter – they are from Anthropologie, one of my all time favorite stores. Love your collection. Mine is almost identical, except my citrus juicer doesn’t have the lime insert, which I wish it did. My top used kitchen item is my chef’s knife and cutting board. I absolutely love – and use to death! – my chef’s knife too!